JAKARTA, INDONESIA, Jul, 04 2013 - (ACN Newswire) - Jakarta Fashion Week (JFW) 2014, the major fashion platform in Indonesia, will be held from 19th to 25th October 2013 in Senayan City, Jakarta. Now in its sixth annual edition, JFW has put Jakarta on par with other fashion capitals of the world with its mission as lifting the nation's fashion wealth on the international fashion stage. In addition to featuring the best works of Indonesian designers, JFW has also become an important event for Indonesian models, to become known both on the local and international stage. To find the best talent, Jakarta Fashion Week is holding a model audition, the Grazia JFW Model Search 2013. In collaboration with Grazia Indonesia (www.grazia.co.id), JFW has attracted more than 150 models who are participating in the audition process today. The juries are Parzada Diaz, Creative Director of Jakarta Fashion Week, Zornia Harisantoso, Chief Community Officer Grazia Indonesia and Wawan Suharto, choreographer. "Every year the JFW holds a model audition and sees great interest from models. It is a valuable opportunity for them to perform at a fashion event of an international standard, which has been included in the agenda of world fashion. In addition, every year more than 20,000 photos of the JFW are downloaded by media from all corners of the world. 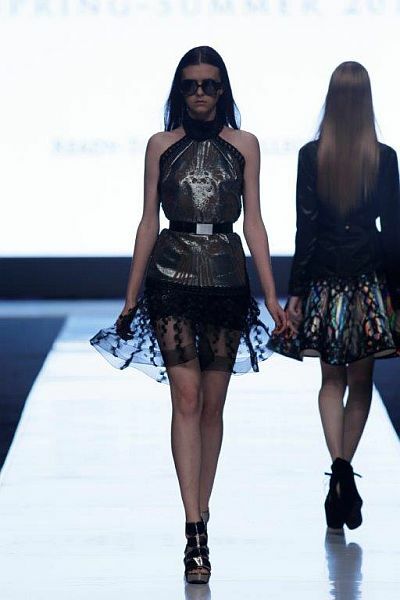 Jakarta Fashion Week can be a gateway for our models to the global industry," says Lenni Tedja, Director of JFW. "This year, Grazia has the honor of hosting a model audition for JFW. The Grazia JFW Model Search 2013 is totally new, as we opened online participation to the public, and a chance of winning via online voting for the Grazia JFW Model Search - People's Fave," says Zornia Harisantoso. As in previous years, Grazia will also hold Grazia Glitz & Glam at Jakarta Fashion Week 2014. In addition to the model audition, there will be a series of events leading to JFW 2014 involving fashion bloggers in a contest held by Matahari Department Store. And to challenge young designers, PT Trident Textile Industries, which produces the mill materials for the Bellini brand, is holding a uniform design contest. This month, Jakarta Fashion Week also opened registration for the Fashion Designer Contest 2013. This year, LPM 2013 carries a "24-Hour Style" theme, a design interpretation for the appearance of busy urban and multitasking women who demand a pricipal, as well as flexible style for a variety of events throughout the day. In 2011, the winner of this biennial contest was Lulu Lutfi Labibi. The Fashion Designer Contest is a prestigious happening that has spawned many renowned designers, from Itang Yunasz, Carmanita, Midshipman Kusmajadi and Moses Widiatmodjo to Denny Wirawan, Priyo Oktaviano, Tex Saverio, Albert Yanuar and Friederich Herma. JFW 2014 is sposored by PT Mazda Motor Indonesia, The Body Shop Indonesia, Bellini, PT Trisula Textile Industries, the British Council, PT Matahari Department Store and Grazia Indonesia. Jakarta Fashion Week (JFW) is held annually and aims to provide direction to the Jakarta Fashion Week is the leading platform for fashion industry in Indonesia. As the primary fashion week in Indonesia, Jakarta Fashion Week showcases the talent and creativity for Indonesian designers as well as providing a direction for Indonesian fashion industry. Throughout the year, Jakarta Fashion Week also holds a variety of training programs for prominent figures in Indonesian fashion world. We aim to develop Indonesian fashion business and creativity in preparation to penetrate the international market. Jakarta Fashion Week 2015 is organized by Azura Activation,a part of the Femina Group.